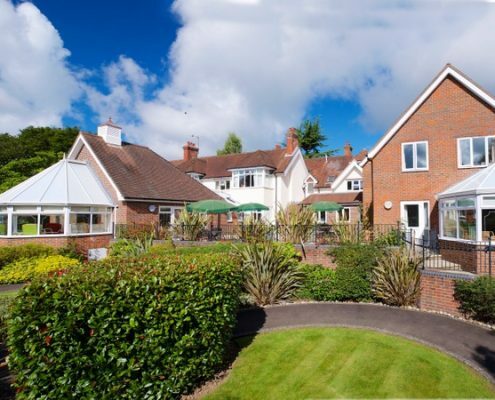 Set amongst beautiful mature gardens in the ancient market town of Romsey, Woodley Grange is a multi-award winning care home and one of the finest care homes in Romsey. 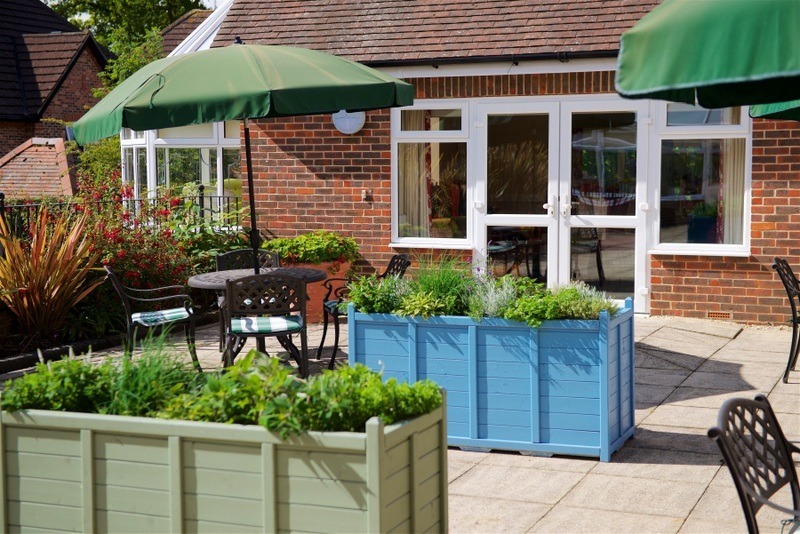 It provides a wonderful and caring environment for residents with a wide range of needs, including memory loss and dementia. 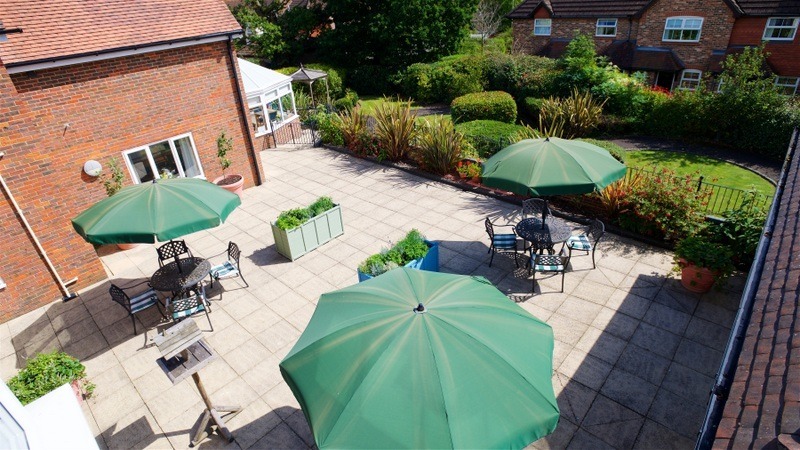 Recently refurbished to the highest standards and using the latest dementia design principles, Woodley Grange is a delightful and positive setting for our residents to enjoy life in. 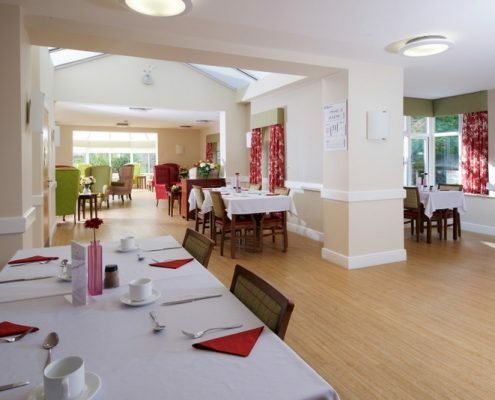 Whether it’s for residential care or dementia care, Woodley Grange boasts spacious, mainly en-suite rooms, plus multiple comfortable lounges that offer a variety of views and atmospheres. 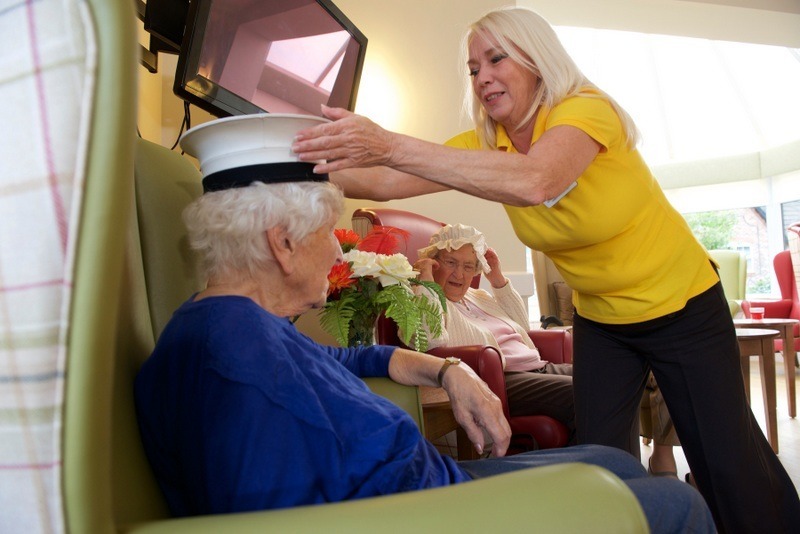 Our team are all highly trained and dedicated to providing the individual loving care we believe all residents deserve. 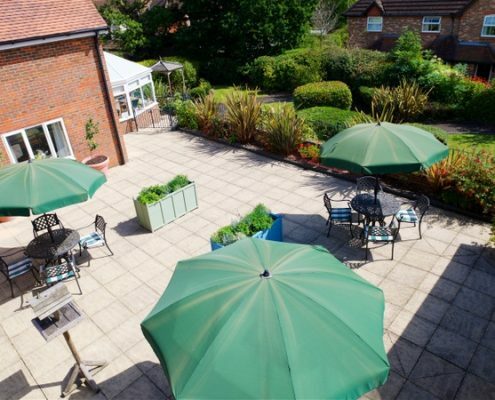 We foster strong bonds with both our residents and their families, to create a friendly, relaxed and homely environment for everyone to enjoy. 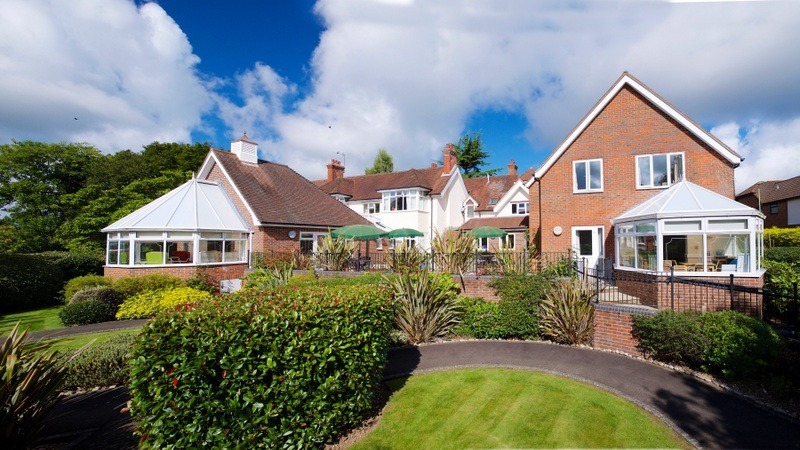 At Woodley Grange, we are committed to providing a truly peaceful setting for our residents. Their comfort is important to us, and every aspect of our accommodation has been designed accordingly. 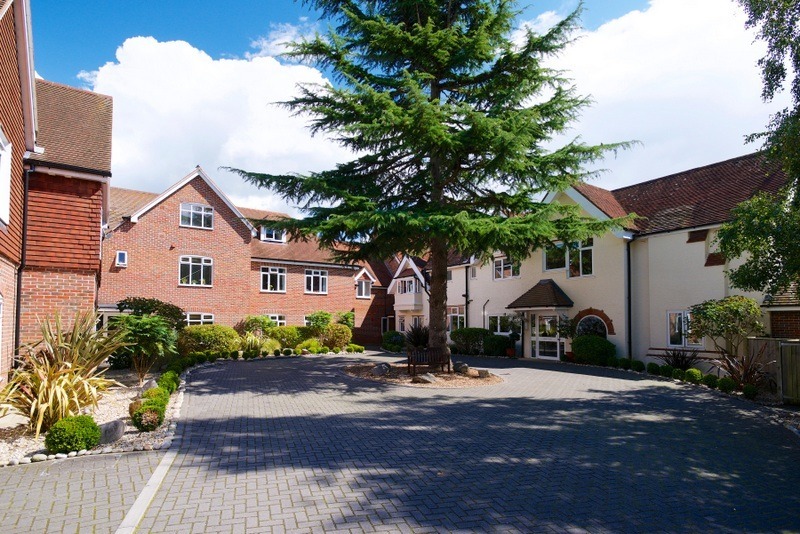 Woodley Grange Care Home in Romsey has recently been extended and refurbished. 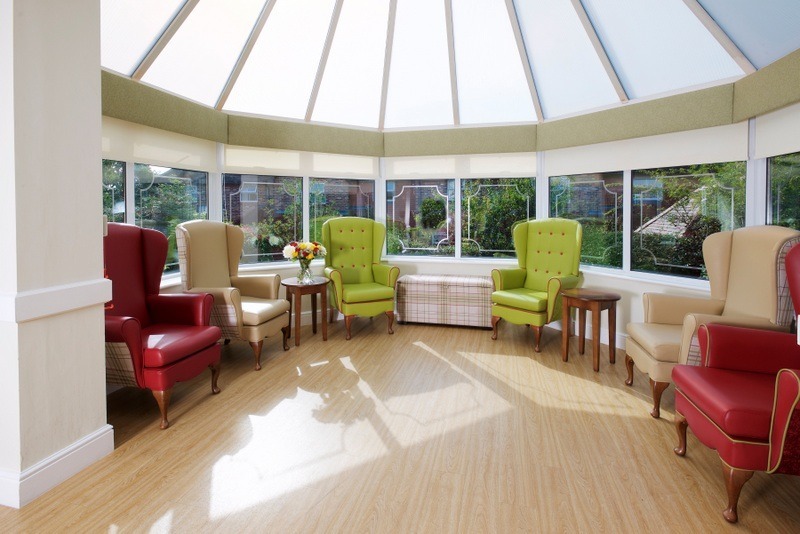 We researched the latest dementia design principles and studied case studies from around the world. 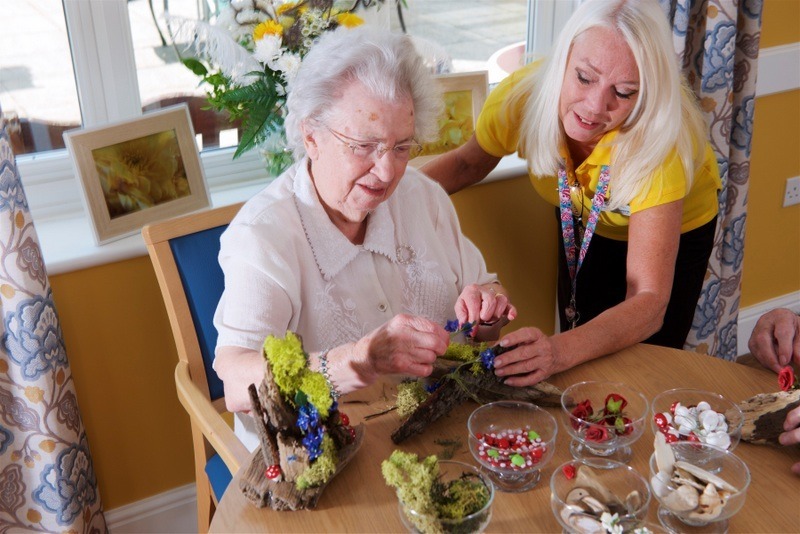 This has allowed us to ensure that our residents receive the very best dementia care in addition to exceptional residential care. The home is luxuriously decorated throughout. It benefits from a variety of spacious living areas, which promote social interaction and dining and leisure activities, whilst also offering places for quiet contemplation and relaxation. 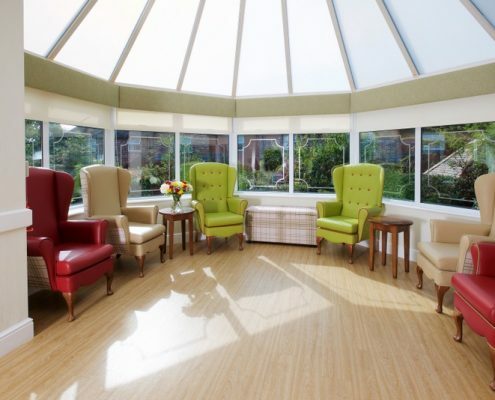 Our Orangery is a particular favourite of our residents and is a wonderful space to relax and enjoy views of the attractively landscaped gardens. Woodley Grange even has its own hair salon, for when our residents fancy being pampered. 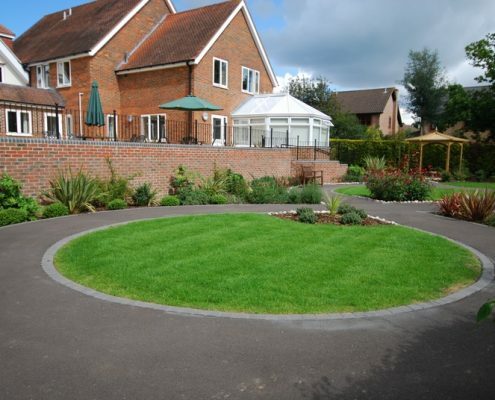 We are extremely proud of the grounds at Woodley Grange. 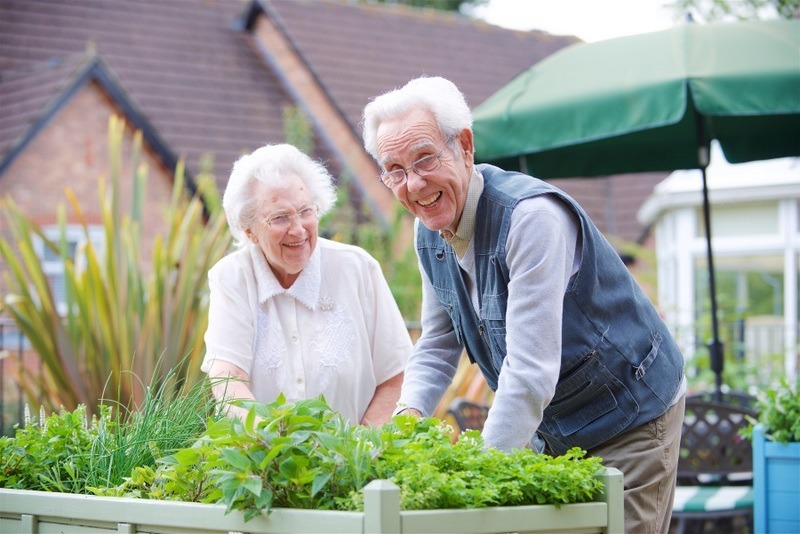 We encourage residents to enjoy the spaces as frequently as possible, whether that is by relaxing on the large secure terrace or taking a stroll around the landscaped gardens. 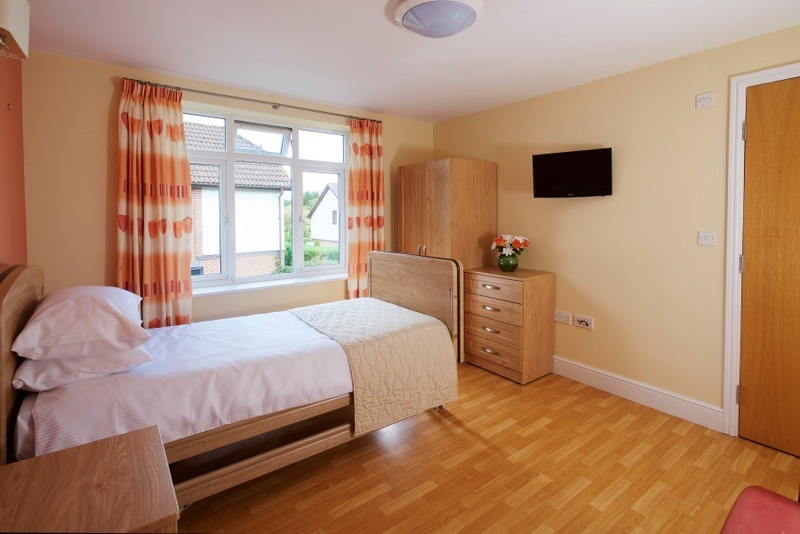 Providing a safe, secure and stimulating environment for our residents is at the forefront of our minds. 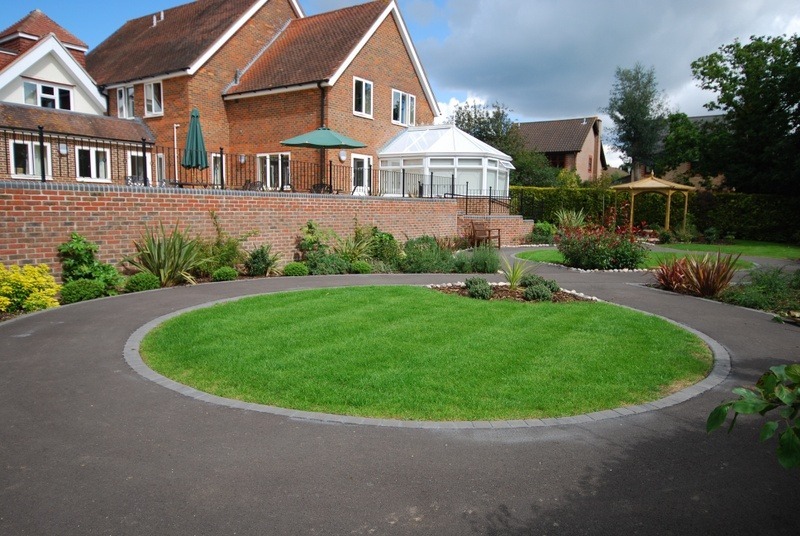 With this in mind, our garden has been professionally designed and features a figure-of-eight pathway that enables residents with memory loss and dementia to take a stroll and always be guided back home. A variety of shrubs enhance the environment, bringing delightful fragrances, vibrant colours and engaging textures to the surroundings. A standout feature of Woodley Grange Care Home in Romsey is the addition of a full-time dedicated Activities Organiser. 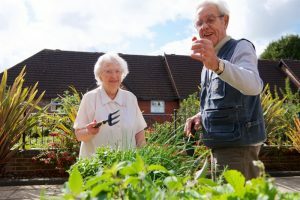 They have a vitally important role in devising interesting, stimulating and fun activities for our residents to enjoy. 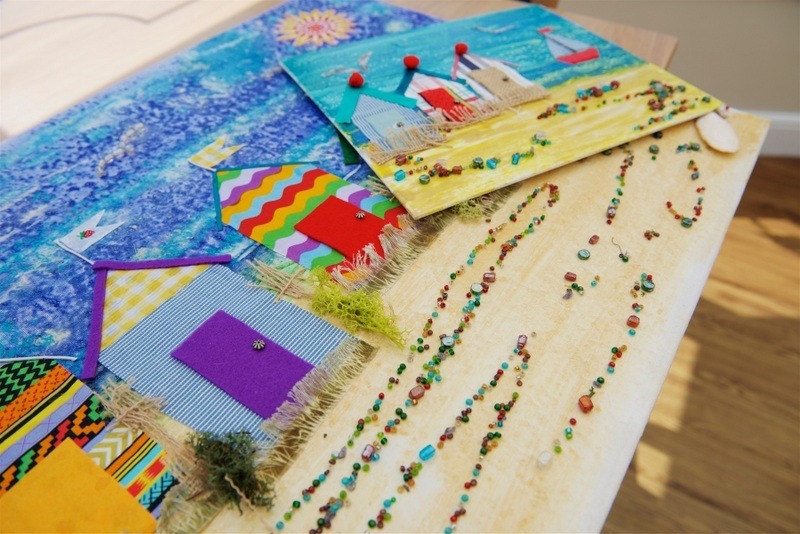 These are centred on our residents’ individual tastes, interests and past times. All our staff enjoy taking part in the activities, whether it’s accompanying a resident for a walk, simply sitting down for a chat or taking part in lounge-ten-pin-bowling. 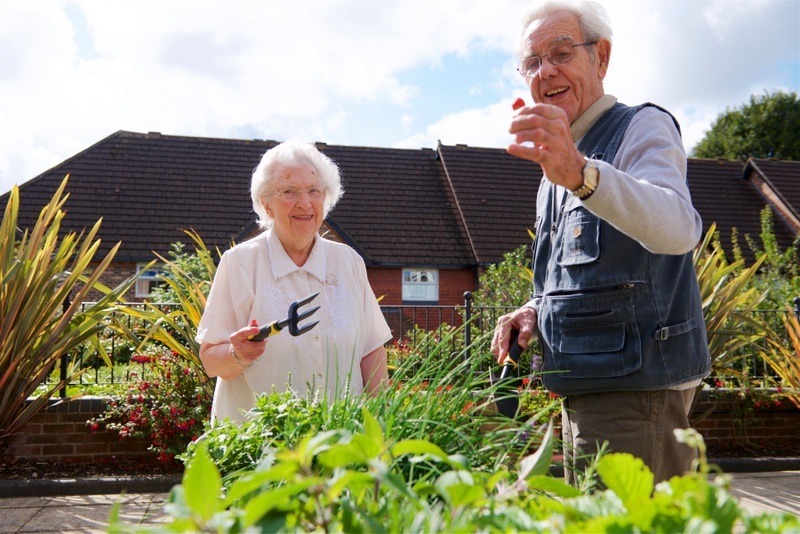 Social and recreational activities are an important feature of our residents’ care and stay with us. 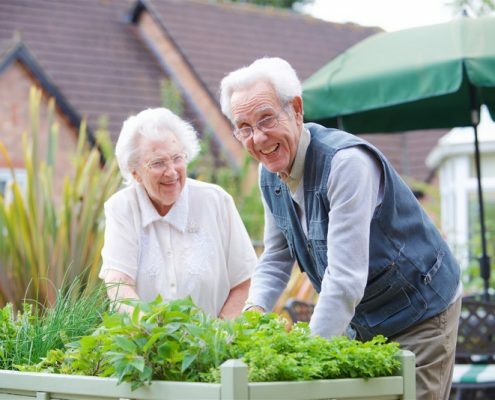 We thoroughly encourage residents to pursue any existing hobbies and explore new ones. It goes without saying that relatives can visit their loved ones as often as they like. Visitors are more than welcome to take their loved ones out for the day or enjoy the extensive grounds that encompass the home.